Also known as "snakeshead". 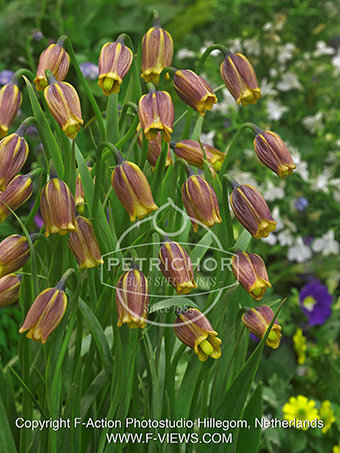 This Fritillaria is good for a rockery, and front of a border. Flower Colour: Burgundy purple edged yellow.